One of Fiji's more controversial figures in recent times, Peter Foster, has been arrested in Australia's Gold Coast over his alleged involvement with a questionable diet spray company. 9 News says Australia's consumer watchdog began legal action in July against the company Sensaslim Australia, Foster and other company officers over alleged misleading and deceptive conduct and false claims about the weight-loss spray. The Australian Competition and Consumer Commission alleges Foster's involvement in the Sensaslim business, which is now in liquidation, was not disclosed. It also alleges false claims were made about Sensaslim spray being the subject of a large worldwide clinical trial, when no such trial was conducted. 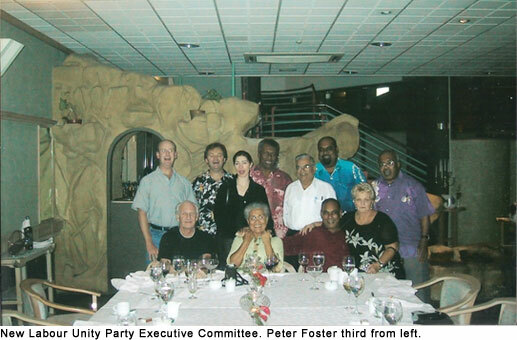 Readers will recall Foster was used by the Frank Bainimarama regime to collect evidence against Laisenia Qarase and was helped by soldiers escape to Vanuatu to avoid serving jail time. He went underground after returning to Australia but has now surfaced in the diet spray company. Didja hear that Aiyaz? Quick send around another set of extradition papers or better yet, get INTERPOL on stand-by. Frank could do with a little slimming himself. Forget Peter Foster......look at those he was there to back financially.......sota ga na lawaki......bloody corrupt con power greedy mutherfuckers......maybe this bloody coup IF it had remained on track to rid all the corrupt politicians would have served its purpose......but when Aiarse hopped onboard...that was the end of the intended mission....yadra mada mai na moce Frank and kick his arse out, man.....before it is too late!!!! pacific and before they mashed him up at Pacific Harbour? I saw this on the news yesterday here in Oz.I had a good laugh. I remember when he bribed the police or the soilders in Fiji to allow him to escape back to OZ. He i s like a recurring bad dream! Yesterday's Rooster todays Feather Duster. A little Fatman who made a fortune selling naive people slimming formulas. Frank needs to slim down. He needs to contact Peter Foster. Forster was chief adviser to Frank in 2006.